Just as Nigerians were settling into the news of the first schoolgirl to be rescued, two years after over 200 female students were abducted from their secondary school in Chibok, Borno State, the Nigerian Army claimed last night that a second Chibok girl, Miss Serah Luka, was rescued yesterday. A statement by the Nigerian Army spokesman, Col. Sani Kukasheka Usman, said Serah, who is Number 157 on the list of the abducted schoolgirls, was a junior secondary school one (JSS1) student of Government Secondary School, Chibok, at the time of her abduction, and is believed to be the daughter of Pastor Luka. 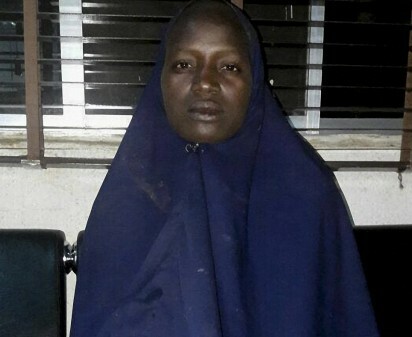 However, the claim by the army immediately raised doubts due to the timing of a second rescue exactly 24 hours after the first Chibok girl, Amina, regained her freedom after two years in captivity. Also, the claim by the army that Miss Luka was a JSS1 student at the time of her abduction ran contrary to what has been reported consistently for two years that the 276 girls who were abducted by Boko Haram were senior secondary school three (SS3) students who were in school taking their West African School Certificate examination. A review of the full list of the abducted girls also showed that there was no Serah Luka on the list. The names with some semblance to Sarah Luka on the list included “Serah Samuel”, “Serah Nkeki”, “Kauna Luka” and “Naomi Luka”. The full statement from the statement read: “At about 11 am today, Thursday, 19th May 2016, troops of 231 Battalion, 331 Artillery Regiment (AR), Detachment of Armed Forces Special Forces (AFSF) 2, Explosive Ordinance (EOD) Team and civilian vigilante group of Buratai, conducted clearance operations at Shettima Aboh, Hong and Biladdili general area in Damboa Local Government Area of Borno State. “During the operations, the troops killed 35 Boko Haram terrorists and recovered several arms and ammunitions and other items. “In addition, they rescued 97 women and children held captives by the Boko Haram terrorists. We are glad to state that among those rescued is a girl believed to be one of the Chibok Government Secondary School girls that were abducted on 14th April 2014 by the Boko Haram terrorists. “During debriefing, the girl revealed that she was a JSS1 student of the school at the time they were abducted. She further added that she hails from Madagali, Adamawa State. “She averred that she reported at the school barely two months and one week before her unfortunate abduction along with other girls over two years ago. “She added that there were three other girls who fled from Shettima Aboh when the troops invaded the area earlier today which led to their rescue.